We devote ourselves to the apostles’ teaching through the reading and preaching of the Scriptures. We devote ourselves to one another in fellowship. We devote ourselves to relishing the Gospel through the right administration of the Sacraments (the breaking of bread). We study the Bible together during our Sunday School classes. These occur after the morning worship service on Sundays. Typically they are a study through a book of the Bible. Currently, Elder Rist is leading us through the book of Job. We also have a Sunday School class for children that meets at the same time as the adult class. Our children learn the First Catechism and hear of the story of redemption from the Bible. Elder Rist leads a Bible Study in his home on the 1st and 3rd Fridays of the month. He is going through the Gospel of John. Please contact us with any questions, or if you’d like directions. We meet together to pray each Wednesday evening at 6:30 at Pastor Carter’s home. One of our elders also leads in a devotion on Prayer from the Word of God. Contact us for directions or more info. 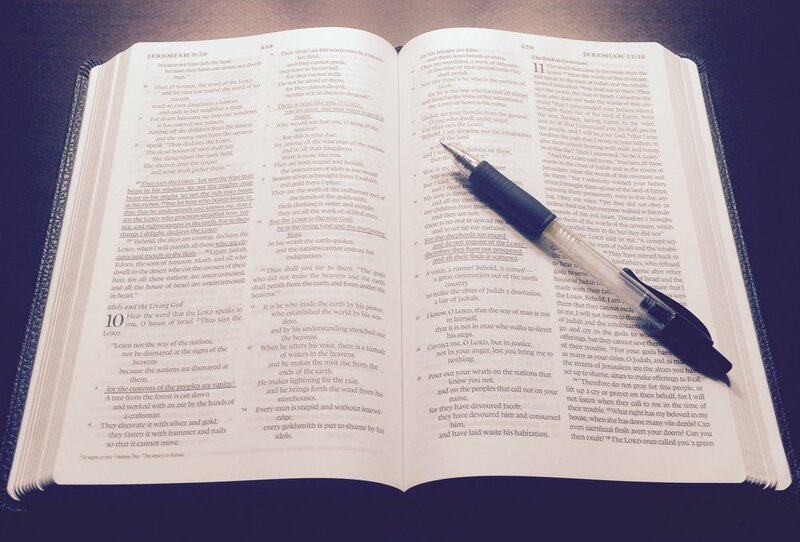 A number of our women meet together weekly to study the Scriptures and to encourage one another in the faith. They read the Bible, study, pray and fellowship. Contact us for more info. On the 3rd Friday on the month at 6:00pm at the church, we have a youth group that is focused on children with special needs. Please contact us to learn more!